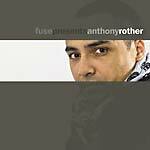 This is Germany-based electro artist/producer Anthony Rother's first release for the Telekraft label. Even in the fifth year after founding the Datapunk label, Rother still always surprises; he is a scientist whose name permits strange associations between mechatronics and the art world. 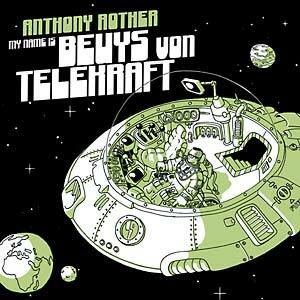 After his acclaimed releases Popkiller (2004) and Super Space Model (2006), Anthony Rother concentrates fully upon the digital nature of the sounds, not just in the programmatic statement of My Name Is Beuys Von Telekraft. As Rother himself contextualizes, "Especially during the past few years, the aesthetic perception of music has been restricted to an extremely reduced and compromised code, between MP3s, mobile ring tones and modern telecommunication. Beuys von Telekraft adopts this development as his own. It was my aim to use the poor quality of compressed sounds, reduced frequency ranges, lowered sampling rates and strictly digital sounds as a self-sufficient stylistic device, and despite this to produce fat-sounding club music that sounds anything but lo-fi." In terms of content, the lyrics of "My Name Is Telekraft," "Welcome To My Laboratory" and "Girl Construction" -- which are delivered in English as well as in German -- stand in the tradition of the man-machine discourse that was already fascinating Rother on his Psi49net albums at the beginning of the millennium. New, however, with this reference to the golden age of science fiction, is a certain penchant for humorous overstatement. This applies particularly to "Liquid System," the modulated synth hookline of which stretches over 16 whole bars, remaining constantly in motion in its unpredictability, and which will thus burn itself inescapably into the collective memory of the dancefloor. And as if that was not enough, Rother comes up with another top-class musical experiment with the ten tracks on the bonus CD, Geomatrix, a kind of dark film episode of the sound experiments of Beuys von Telekraft. Completely without beats and yet keeping the aesthetic of energetic noises that is so typical of Rother, he designs a future-oriented form of modern ambient without any cuddly lounge aspects. Focused and radical at the same time, "Geomatrix" creates a deeply impressive atmospheric vision of the darker side of the urban experience. As "64 Bit Audio" puts it so nicely, "The system translates reality into frequencies."